Hernia treatment depends on several factors, such as symptoms and severity of the disease. Currently, surgery is the single option to fix the weakened abdominal tissue (fascia). However, it’s not going without risks – thankfully it’s not always required. A number of treatment options without surgery are available, but do they work? Typically, your fascia will not regrow to repair /close the weakened spot or hole. That’s why surgical intervention is required to permanently repair a hernia. Non-surgical procedures can help relieve the symptoms and prevent the disease from worsening, but not for a ‘cure’. Unless your hernia is causing symptoms, making you distress, or affecting your activities – surgery may not be required. Most hernias are not necessarily dangerous. Even some people with hernias have a long period of time without having serious problems. But since there is a chance for the disease to turn into serious or even life-threatening, it can’t be underestimated. Even though you have the mild one, see your doctor promptly if the bulge doesn’t respond with manual pressure or more difficult to be pushed back into the abdominal cavity. 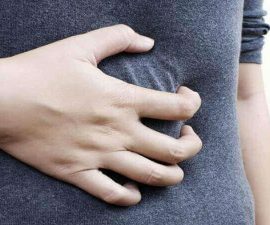 See more warning signs of dangerous hernia! If your hernia is mild (small), reducible (easy to push it back into place), not painful or doesn’t bother you a lot; wait-and-see approach is probably an acceptable alternative to surgery. Your non-surgical medications are usually dependent on the specific symptoms you have. Also, the type of your hernia can affect your treatment. 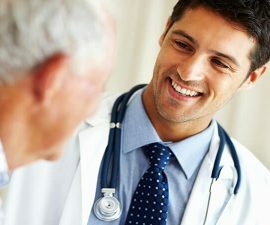 Sometimes, a hernia truss may be recommended for inguinal hernias (the most common type of hernia, especially in men). It’s a supportive undergarment to help relieve discomfort and keep the protruding abdominal tissue in place, making you feel more comfortable. But it’s not designed to treat the disease. The same goes for incisional hernia. If it is small and painless, a truss may also be recommended to help apply constant pressure to the affected area. Many times treatments for hiatal hernias are not required, because most patients don’t have any signs and symptoms. Non-surgical medications include antacids, H-2 receptor blockers, and proton pump inhibitors. 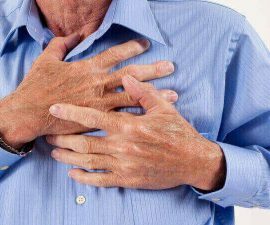 They can help treat and relieve heartburn, the classic symptom of hiatal hernia. Umbilical hernias in infants will usually relieve naturally by age one or two. And they are usully easy to be pushed back into the abdomen, but don’t do this on your own. If they persist longer than expected or get worse (larger in size and painful), surgery is required. In adults, surgery is typically more recommended to prevent serious complications. A few changes in your diet and lifestyle may also help manage the disease and prevent it from worsening – see also what NOT to do with hernia! How about alternative medicines or therapies? There are a few options to choose from. Some alternative therapy practitioners (ayurvedic treatment, for example) claim that they can treat and cure a hiatal hernia without surgery by pushing the affected part of the stomach back to its natural position, below the diaphragm. They may do this manually (with hands) to apply pressure and manipulate the stomach. Yoga, a mind-body relaxation therapy that combines meditation, physical poses, and controlled breathing. It can help reduce stress, which may help improve your hernia pain and other symptoms. Before trying these therapies, ask your doctor first since there are still no any alternative medicines approved for hernia. If your doctor recommends one of them, it’s usually considered as a complementary option, not to replace the main conventional treatments. In addition, wait-and-see approach is probably inappropriate for women. In fact hernias in women often cause lots of discomforts and may turn into serious if not immediately repaired with surgery. While early surgery is not always necessary, delaying surgery for hernia also carries potential risks. The most dangerous one is strangulation, a serious complication that occurs when the abdominal tissues get trapped in the hole and the blood supply to the affected tissues is cut off. Without immediate surgical intervention, this complication could be fatal (life-threatening). Strangulated hernia is very rare. Only about 3 out of 1000 men with hernias developed this strangulation, according to a study in 2006. Also, the rate of complications was same between men who chose early surgery and those with watchful waiting. However, it’s not always easy to determine whether you should take early surgery or delay it. There are a number of factors to consider. For more guidance to choose between surgery and watchful waiting, visit this section! Can You Have Hernia Without A Lump? Can Your Hernia Cause Back Pain? Can You Die from A Hernia?